Are you conscious about your body and beauty? If yes, then choose Olive Oil, a good skin care treatment solution for all skin types. It can be used all over the body, on your skin and hair, proven to be a healthy, natural as well as a comforting solution for skin care needs. Damaged & dull broken hair, loss of hair; these are all problems several people struggle with, and olive oil has been hailed as a wonder solution for such problems. Undoubtedly, depending on the severity of the harm as well as cause of it, the amount required, and how well it is going to work, will differ for different individuals. People have been using olive oil for natural hair treatment for several years. 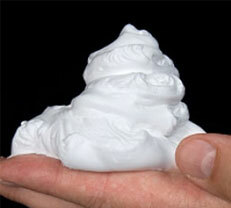 Advocates claim that it adds luster, body, softness, as well as bounciness. This is because it's so nutrient rich. In the carrier oils it is ranked very highly. This powerful carrier oil has the emollient squalene, which penetrates deep inside the hair follicle and does not leave an oily feel behind. Except the penetrating quality which is a boon for damaged & dry haired females, this oil also has vitamins A and E which also repairs the little nicks and cracks along the hair shaft. Olive oil is perfect for dry hair as well as heated oil treatments. If your hair screams for a little TLC (Tender Loving Care), whip up a warm olive oil masque, relax and reap the benefits. So, say bye bye to damaged hair by including olive oil to your daily hair care regime. To enlighten yourself on the hair care. 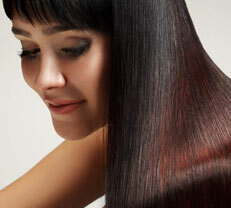 Now don`t head to a beauty salon or a store for the latest deep-moisturizing hair care product. As, you have the answer to mend your distressed hair right in your home. Olive oil, adds moisture as well as shine to your dry and dull hair. Now, try these tips to treat your hair with olive oil at a fraction of the cost of a hair salon visit. 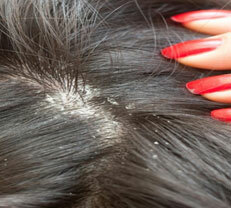 Dandruff is usually caused once the scalp turns out to be dry as well as flaky, causing those ugly white flakes. Olive oil is a natural moisturizer. Once massaged into the scalp, it will nourish your scalp, decreasing the appearance of your dandruff naturally, with no chemically laden shampoos. 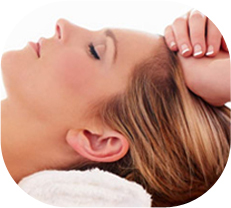 Use the treatment as often as required, till the problem fades away and after that just one or two times a week to prevent reoccurring. Hair that's been treated with relaxers, perms, or bleach mainly derive benefit from extra moisture. Always wait for minimum 3 days after the initial treatment before you put on olive oil. Test a strand to ensure it doesn't leave a trace of its green shade behind, if using it on bleached hair. 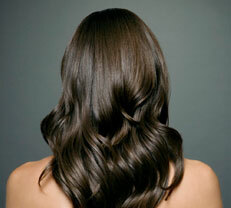 Healthy hair has a natural shine of its own. Damaged and dry hair looks dull and dead; however you are able to bring your hair back to life with olive oil. Once used as a conditioner, it infuses moisture in your hair, providing it a healthy and beautiful looking shine. 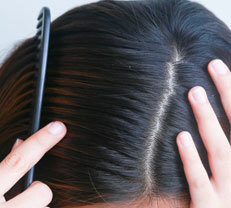 It is not easy to style unhealthy hair; as it is either limp or frizzy. Using olive oil as a hot oil treatment will make you manage them easily. A few people have hair that is rough. Olive oil treatments every week are a natural way to make your hair softer, as it will saturate with moisture. 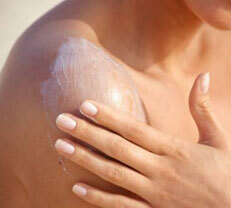 Sales of skin care products in India is a multi-billion dollar business and growing day by day. A lot of the latest "wonder in a jar" choices are endorsed as high-end, however expensive, solutions to daily challenges: e.g. 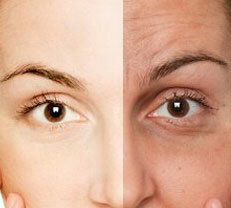 how to keep skin moisturized and face free of wrinkles. Also, a few of the natural organic skincare products found worldwide use Olive oil as the base ingredient. However, what a lot of consumers don't understand is something that people living years ago in ancient Greece took for granted; that olive oil, in itself, is one of the best beauty secrets. Besides being a natural, hypoallergenic way to moisturize skin, it has the extra advantage of providing antioxidants, like Vitamins A and E that help repair and renew skin that has been damaged from overexposure to sun, air pollution, and other present-day environmental exposures –For example cigarette smoke and fast food. These antioxidants help prevent cell destruction and make skin softer, smoother, as well as healthier. To be more insightful, this damage is related to the damaging activity of oxygen-related free radicals produced by skin cells. Olive oil has Polyphenolic components which have been compared to traditional antioxidants, for example tocopherols, used by the pharmaceutical and cosmetic industry to avoid skin damage. There are several easy and reasonable ways to get the best skin care and beauty benefits from a single bottle of extra virgin olive oil. Just a dab of these rich emollients is all you need to beautify your way all through. To enlighten yourself on the beauty benefits of Olive Oil. You might think of olive oil as a staple for your kitchen; however it might be a staple in your makeup bag, too. This vitamin E-rich beauty powerhouse is able to help you look young, keep your skin soft and even calm irritation. Find out more about the benefits of olive oil in skin care and make it an essential part of your daily beauty regimen. Olive oil is a natural antibacterial agent and if you're in search of a healing balm recipe then look into this homemade Neosporin knock off from Live Simply. 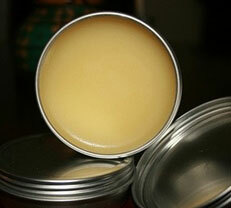 It is easy to make, however still as effective to keep germs as well as scarring at bay. If you're in search of a natural and low-priced substitute for drugstore makeup removers, olive oil is a good choice. 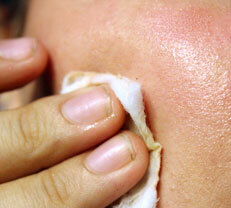 Just put a bit on a cotton ball or pad, and softly wipe out all the makeup from your face. It works great at removing makeup as it is a natural dissolving agent without any harsh chemicals. Chapped lips can be annoying. Bleeding might take place when you tug off the dead skin that dries out in the lips. A scrub prepared out of sugar and olive oil can help exfoliate the lips. Olive oil helps in regeneration of skin as well as increase elasticity of the skin. Just massage it over the affected areas minimum 3 times a week to enhance the elasticity and its regenerative abilities will help heal the affected part, too. This will not just prevent formation of new stretch marks, however will work to lessen and lighten the existing ones to some extent, as well. 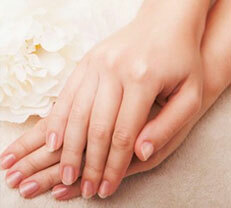 Do you suffer with dry hands in winter and looking for a natural way out? Soak your hands in a small amount of olive oil to enjoy smooth hands. All you are required to do is heat the oil and massage it on your hands for 10-15 minutes. Also, this method makes your cuticles as well as cracked heels softer. While olive oil cannot function as a sunscreen, it is able to help soothe the burn, mend the damage, and guard the skin against cancer when used as an after-sun lotion. Olive oil consists of hydroxytyrosol and vitamin E that have an effect on the skin to prevent cells degeneration; as a result, it helps in preventing early ageing. Further, it has squalene acid too that works to enhance the elasticity of the skin, consequently preventing sagging of the skin and making it firm, young as well as healthy. 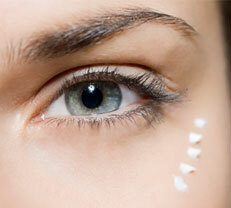 Why pick costly night eye creams when you can get it organically and for a smaller amount with olive oil? It will nurture the tender skin around your eyes and soften fine lines. Slightly dab some under your eyes before bed time or in the morning. Olive oil is a natural lubricant that is good for the skin care. People prefer to shave their face or legs with it than any other chemical products. With it, your skin gets pampered and is infused with vitamins, as well.